Frugal & Fabulous: Big Y - quick run for last day of the sale! Big Y - quick run for last day of the sale! 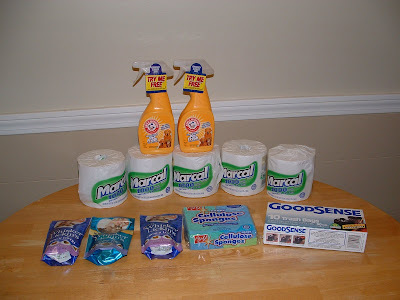 5 - Marcal toilet papers ($.89 ea) used five free up to $1 coupons = FREE! 3 - Whiska lickins ($1.00 ea) used three $1/1 coupons = FREE! I'm going to have to pop into Big Y. I have a ton of the Marcal free coupons and haven't been able to find them ANYWHERE! Its driving me nuts.